Apple AirPods are among the best true wireless earbuds available to buy right now, and by far the most popular, but they're not a perfect fit for everyone. 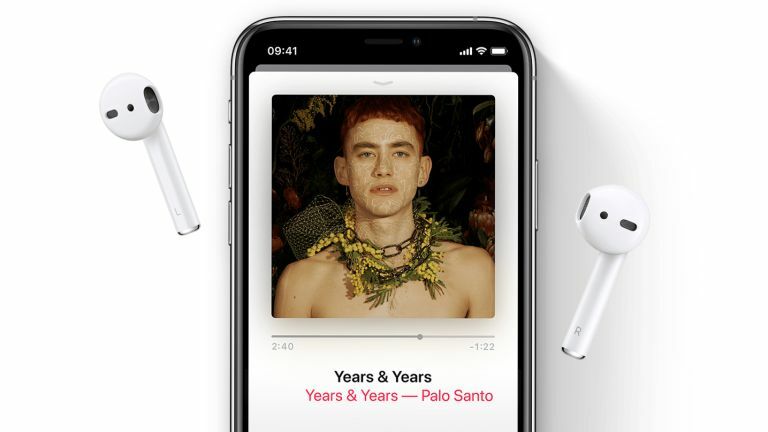 Apple uses the same "breakthrough" bud design as its wired Apple Earpods headphones that come bundled with the iPhone, which it claims offer a "more natural fit" and "increased durability". However, due to the weird shape of some people's ears, the Earpods and AirPods don't fit perfectly in everyone's ears. There are reports of earbuds falling out, or in some rare cases, even causing pain. But soon, that agony could be over. According to a new patent, originally filed last year and awarded to Apple today, the company has developed a new "universal" design that means the wireless earbuds can be used interchangeably in either left or right ears. As it stands, Apple AirPods have designated left and right earbuds. The idea is that an interchangeable design that can be used in both left and right ears will be somehow more comfortable and naturally fit more people's inner ears. No, we don't get it, either. Other than for totally symmetrical people, it may seem like there's no obvious benefit to this. However, it would be to Apple's advantage because they can use just one mould to produce all their buds, and wouldn't need to employ a person or robot able to place the left and right bud correctly in the packaging. So that's great. How about consumers? Well, most people have a favoured ear that they like to wear a solo earbud in for making and taking calls, and now they don't need to worry about that bud running out of battery, because the other one is on hand to replace it. So that's great too! The latest approved patent reiterates previous rumours that Apple is looking to add biometric sensors to its next-generation AirPods. According to the official document, these will be “pressed up against a portion of the tragus,” so the AirPods can record heart rate and body temperature, as well as a number of other health metrics. The tragus, as we all know, is the sticky-out bit of your ear that is above the lobe, and what Apple's buds sit just behind. News of the patent comes days after sometimes reliable analyst Ming-Chi Kuo claimed Apple will ship its long-awaited AirPods 2 early next year. These updated models will ship with Bluetooth 5.0 instead of Bluetooth 4.2, which was used for the original AirPods. Bluetooth 5.0 tends to offer improved battery life. All models of the next-generation AirPods should ship with always-on Siri support, so listeners can summon the voice assistant by using the wake phrase "Hey Siri". Until now, users had to double-tap either the right or left AirPod to launch the AI-powered assistant. Finally, Ming-Chi Kuo believes Apple is preparing a substantial redesign of the AirPods for 2020, which could include the freshly-patented interchangeable earbud design. It is worth noting, however, that Apple routinely patents a huge range of technology and designs, many of which never make it into the shops.